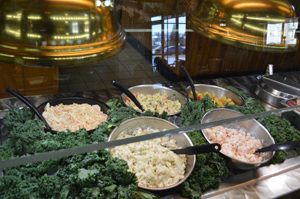 Classic Buffet Company in Regina offers an endless variety of hot food, fresh salads, cold drinks, and tempting desserts each day for lunch and dinner. Sundays feature brunch as well. We also have a banquet room to accommodate your family gathering, team, club, or any other event, with seating for up to 100 people. Talk to our staff about reserving your room and any specific requirements you might have.